The Harvard Mine has been closed for some years now, so crystallized gold nuggets from this location are very hard to find for sale. 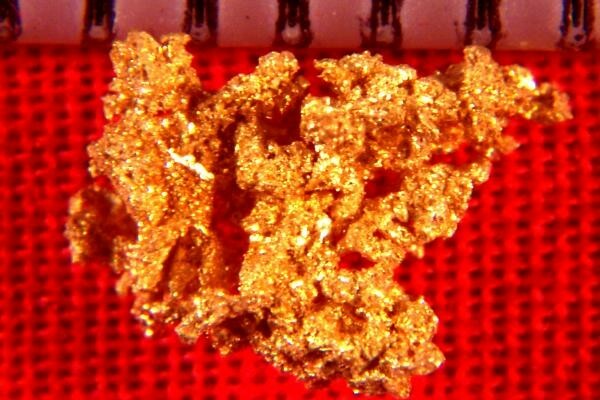 This mass of gold crystals weighs 5.1 Grains (0.33 Gram). 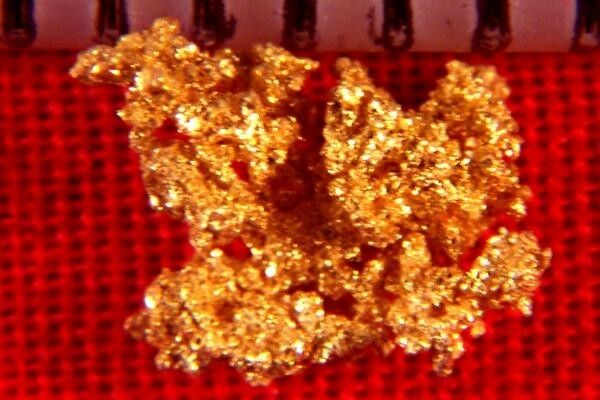 It is 5/16" (9 mm) long and is a spectacular little gold specimen. The rarity of gold from this location makes it a very good investment.